I’m bursting to boast about my Beauty and the Beast bananas. I couldn’t bear not to. 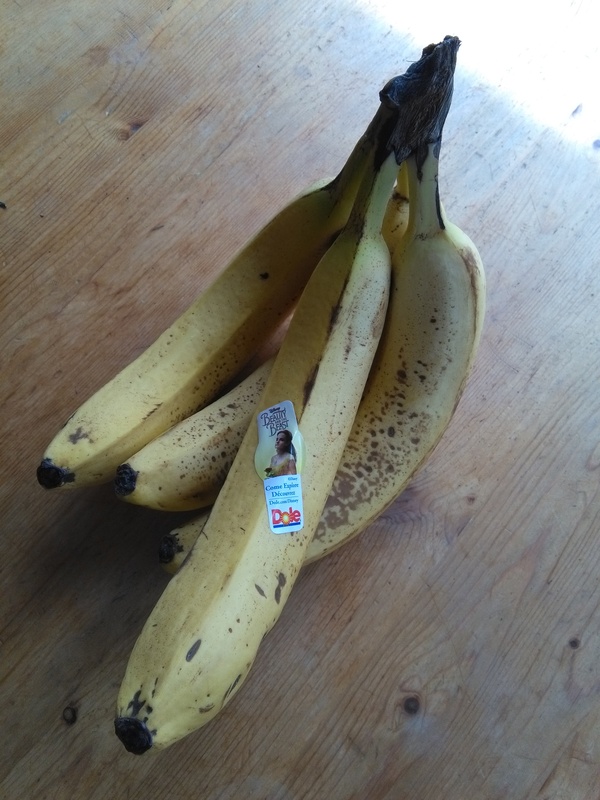 Behold my beautiful Beauty and the Beast bananas! Categories: AtoZ April Challenge 2017, Blogging, Blogs, Cool Stuff, Photograph | Tags: #atozchallenge, bananas, Beauty and the Beast, fun, Humor, inspiration, silly, WordPress, writing prompt | Permalink. Take a deep breath. Time to really get into this whole A to Z business. When I opened my thesaurus to find my “B” word, I saw “breather” and thought HA! An easy one. But like many words, the more I think about it, the more complex it seems. Of course, it’s “one who breathes.” Then there’s the rather unflattering term, “mouthbreather,” which according to the Urban Dictionary means “a stupid person.” I’ve been a bit of a mouth breather of late, but it’s to do with my cold… You know, stuffed up nose and all that. But mostly the word “breather” is known as a noun to mean “a break.” Relax. Take a breather. In my thesaurus it says it’s a synonym for “constitutional” and “walk,” as well. In which case it could be thought of as a heavy-breather, depending on the shape one is in. Speaking of heavy-breathers, do they still do that anymore? I remember it was a big thing in the 70s – you’d pick up the phone and on the other end there’d be someone just breathing heavily. I suppose prank calls pretty much went out the window with caller ID. One day I’ll be able to ask “Is your fridge running? Yes? Better go catch it!” and nobody will know where it came from. “Breather” is one of those words that, when I think about it too much, stops making sense. Or in this case, I think it makes too much sense. Relax. Take a breath. If you’re stopping by my blog for the first time or you haven’t picked it up yet, please check out my A to Z Challenge-inspired novelette “All Good Stories.” It’s a romantic comedy about two best friends who belong together – Xavier knows it, but Jupiter has her eye on another guy: a shady character named Bob. Categories: AtoZ April Challenge 2017, Blogging, Blogs | Tags: #atozchallenge, A to Z, B, fun, inspiration, life, thesaurus, WordPress, writing, writing prompt | Permalink.